Religious intolerance and extremism have jolted the confidence of both local and foreign investors. If the antics of religious bigots and racists are allowed to continue unabated without any resistance, the healthy socio-economic growth of Malaysia will be jeopardised. 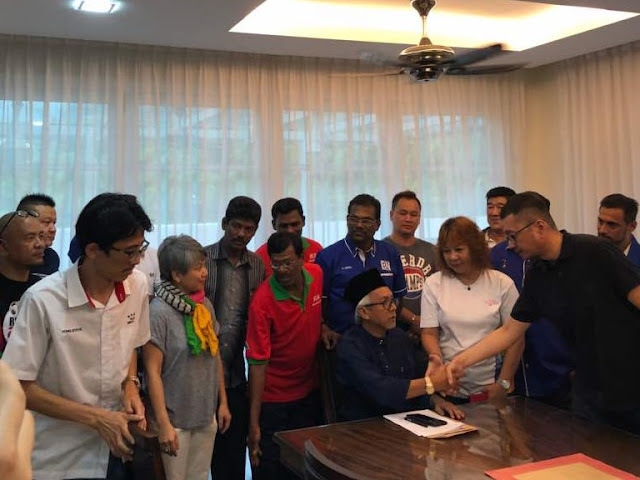 Gerakan Deputy Speaker Syed Abdul Razak Alsagoff said Malaysians must reject all who had been seen directly or indirectly supporting bigots and racists. “There are anti-national unity and anti-national harmony agents of provocateurs at work from both sides of the political divide. Their actions and statements are clear indications of their agenda to disunite Malaysians. “Not only provoking individuals and groups must be rejected, their leaders and those seen aligned must be rejected in the coming 14th General Election (GE14),” he added. Syed Razak a.k.a Pek Moh (White Haired) Bukit Lanjan said Malaysia could only progress smoothly and speedily with multi-religious and multi-racial Malaysians working together in harmony and in unity towards nation-building activities. He spoke at the launch of a fortnightly Pek Moh Bukit Lanjan N.37 Roundtable, themed “For Political & Good Governance Reformation” last week. 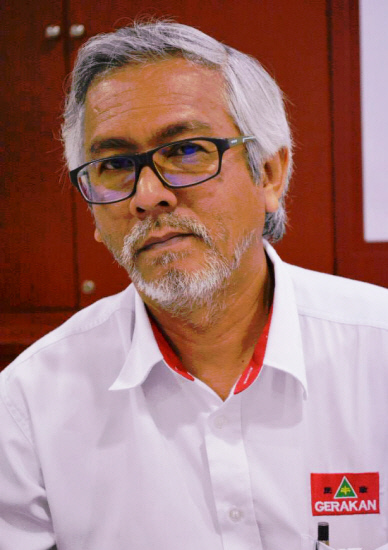 Syed Razak said there were many ways state and federal governments could forge such harmony and unity by embracing, and thinking out of the box, “creative and innovative” nationwide campaigns and roadshows. “For example, we have many world beaters and champions that we can leverage on to promote and instill a sense of pride and drive to achieve excellence in any field. “Only last week, news emerged of 17-year-old Muhammad Daniel Mohammed doing Malaysia proud with an excellent dance performance with his coach, Sylvia Yeoh. “It was a joint-effort that saw Muhammad Daniel and Yeoh winning the A1 for all Single Dances and A1 for Multi Dances in Latin and ballroom dance at the Blackpool Dance Festival 2017 held at The Winter Gardens, Blackpool, Lancashire, England, last May. “Kedah’s SMJK Keat Hwa was crowned overall world marching band champion after winning several categories contested at the 2016 World Championship of Marching Show Band (WCMSB) competition. Syed Razak, who is Gerakan’s nominee to contest N.37 Bukit Lanjan in the coming GE14, asked: “What has happened to our champions? Why weren’t they recognised and used by the Education Ministry and the Tourism, Arts and Culture Ministry as role models to motivate others to strive for excellence? “Any Malaysian champion, irrespective of race and religion, can be used in nationwide campaigns and roadshows to promote and motivate Malaysians to achieve excellence in any field,” he added.